In this submission, the Islamic Human Rights Commission provides information under sections B, C and D as stipulated in the General Guidelines for the Preparation of Information under the Universal Periodic Review. Under section B, the Islamic Human Rights Commission gives background information about freedom of religion and the struggle of Uyghur Muslims in Chinese occupied Central Asia. Under section C, the Islamic Human Rights Commission raises concern in relation to the right to freedom of expression and freedom of religion and the work of international agencies and co-operation of China with the UN’s human rights mechanism. Under section D, the Islamic Human Rights Commission makes a number of recommendations regarding freedom of expression and freedom of religion for action by the government. China appears to be very strict on freedom of religion. This is evident from the history and the struggle of the Uyghur Muslims in Chinese occupied Central Asia. Currently, Xinjiang is the only province of China to have a Muslim majority; Uyghurs has endured decades of discrimination and oppression under Chinese rule. There are also reports of restrictions on the right to freedom of expression. Actions that are strictly forbidden for Uyghurs not only include celebrating Islamic festivals, but also studying religious texts. 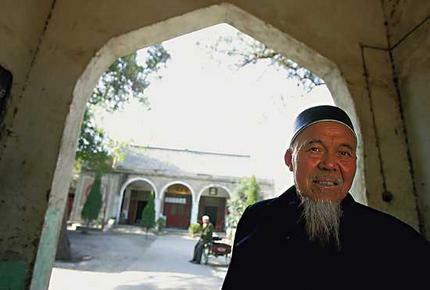 The Chinese government vets who can be an Imam, what version of the Qur’an is acceptable, where religious gatherings may be held, and what may be said at such gatherings. Recently introduced regulations also forbid local government employees and young men under the age of eighteen from praying in the mosque. C. Promotion and protection of human rights on the ground. Mosque construction and renovation was severely curtailed, public broadcasting of sermons outside mosques was banned, religious education was proscribed, and only religious material published by the state Religious Affairs Bureau was allowed. Religious activists were purged from state positions and Haj pilgrimages were tightly controlled and limited to participants over 50 years of age’ (Uyghur Human Rights Project, 2004). Cooperation with UN human rights mechanisms. According to article 1 of the China’s new Regulations on Religious Affairs which was promulgated in November 2004 and implemented in March 2005. The state should “ensure freedom of religious belief” and to regulate “the administration of religious affairs.” From Article 3 onwards, the regulations state that “only normal religious activities are protected,” leaving the party as the sole arbiter of what constitutes normality. Apparently it seems that state is trying to improve legal construction in the field of religious affairs, which is appreciable. However careful study of these regulations reveals a different story. These laws stipulate that new religious centres may only be developed with state permission through a registration process. This process allows the state to monitor religious activities. As a result of which it is more difficult for church, mosque, temples or monastery to exist without state approval than before. Such state-led intervention is contradictory to an atmosphere of religious freedom. But in practice the reality is quite different, the Muslims residing in the North-West Xinjiang, Uyghur Autonomous Region are only free to practice religion within the boundaries set by Chinese law and policy. “normal” by some religion and may seem ‘abnormal’ by others. It clearly shows that China’s stance towards freedom of religion remains equivocal. The working group on arbitrary detention 2004 noted that the constitution does not guarantee the freedom of expression of one’s religion through activities and recommends revising the constitution to include such a guarantee. China is also a signatory to the International Covenant for Civil and Political Rights (ICCPR) and also ratified Convention on the Rights of Child (CRC). Article 14(1) of CRC clearly states “States Parties shall respect the right of the child to freedom of thought, conscience and religion. It is evident that despite the fact China is not only a signatory but also party to many human rights instruments yet Uyghur Muslims are denied religious autonomy and freedom. This is a clear violation of China’s obligation under International human rights laws which cannot be justified under any treaty mechanism. 1. Republic of China should ratify the International Covenant on Civil and Political Rights. 2. Uyghur Muslim in Xinjiang should be allowed to practice Islam according to their religious belief, without government interference or approval. 3. Uyghur Muslim child should be allowed to practice religion and the rights of parents to educate their child according to their own religious belief should be respected. 4. Republic of China should repeal all law related to freedom of expression and religious belief and bring its laws in conformity with International Human Rights Standard.
. Fahad, A. (2008). “The plight of the Uighurs: China’s Muslims suffering as much as the Tibetans.” Available at www.ihrc.org.
. www.cecc.gov/pages/roundtables/031405/index.php (Accessed 02 August 2008).